Norwegian pop sensation Sigrid, has been selected as Vevo’s latest LIFT artist, releasing an exclusive performance of her infectious single Sucker Punch on the Vevo YouTube channel. It's an energetic live performance and showcases her beautiful vocals. Sigrid also gave a piano-based live rendition of Don't Feel Like Crying and you can watch both performances below!! Cementing herself as national breakthrough in Norway from the young age of 17, Sigrid went on to sign a major label record deal with Island Records in 2016 and achieve chart success with her debit single Don’t Kill My Vibe globally. 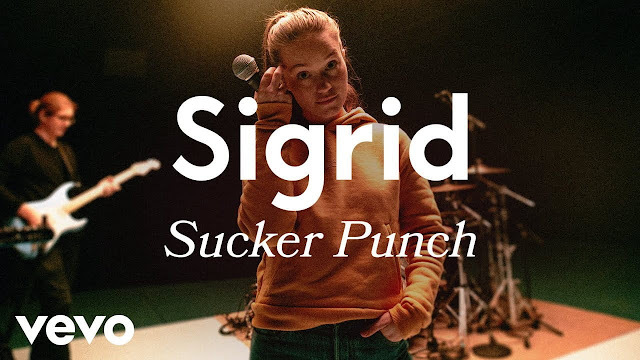 Sigrid will release her debut album Suckerpunch on March 8th before joining Maroon 5 on tour in Europe and George Ezra on tour in the UK later this year.